We are so close to making history. Mike Schreiner is leading in the polls in Guelph. 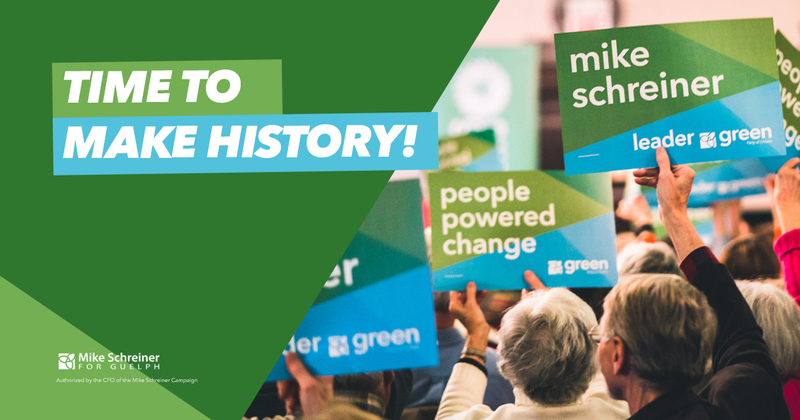 The Toronto Star has backed Mike to be the first Green MPP in Guelph. The media is calling Guelph a riding to watch and the Greens’ best chance. BBQ Social: Will happen after canvassing. Join us to refuel for the finish line!